I am a keyboard player. I've been playing for 8 years now. The reason I ask this question about the purposes, differences and priority of theory and practice is that I've been noticing some resonating moments. I studied theory myself and practiced by video mostly. Yet when I came to practicing reading notes or playing I noticed that theory isn't that much of need. When I read music sheets I look at the notes and play them. For me it doesn't matter whether the key is major or minor or what the name of the chord I play is. I was wondering if other musicians notice that? It happens so that when you play you don't have time to think about the notes and chords you play, but you think about how you play them. Does the minor or major even matter when you play from paper? The short fermata at the end. The rest are simple notes that mean nothing really. playing from a score is straightforward enough when you have learned your instrument well, and learned how to sight read, but understanding why the notes were chosen, and the progress of themes and melody, all comes from theory. composing your own work is much easier when you have not just the skill to play, but also the theory to define the journey your music will make. as you learn theory, you find you need to pay less attention to the notes on the score, and can focus more on the flow, the guidance, he composer's intent, the conductor, etc. I began playing strings in the mid-70's and could play just fine. Didn't know any theory, but knew the notes. Then when I took up guitar in the 80's that was easy - playing notes I heard or saw on the Tab. But I find as I learn more theory it all becomes easier, I understand what my heroes are doing, and I can create much better music myself. And I'm a newbie in theory when it comes to folks on this site! Not sure what your last question means - if you are just playing from the score and don't know any theory, the notes are just notes. A lot of these questions come down to - "what is meant by theory"? Does 'theory' mean 'all musical knowledge'? Does it refer to the 'canon' of music theory commonly taught? Does it refer to musical ideas beyond a certain level of abstraction from an extant, real-world sound wave? When I read music sheets I look at the notes and play them. ... but I would say that if you are thinking in terms of 'notes', then you are using theory. A musical 'note' is a theoretical concept - a creation of human minds; a systematic abstraction of a physical event in the real world. 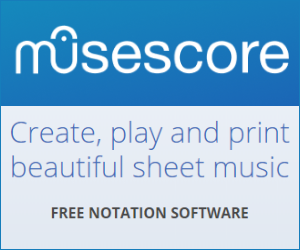 If you are using music sheets, then you are using theory; you are making use of a particular visual representation of music which bases itself around culturally-specific abstractions / models such as time signatures, key signatures, and the diatonic scale. You may not actually be thinking analytically about major, minor, chord names, and so on. But that just means you're using some bits of theory, and not others. I, on the other hand, almost never use sheet music (I hate standard musical notation, personally), but I think about chord names and scales when I'm jamming. Again, that's using some bits of theory, and not others - just choosing the bits that are useful for me at the time. A language used to read/write/discuss the music. With that in mind, I would agree with other answers that suggest you can use parts of music theory at a time, in particular, when you are reading, you are using the language. In a spoken language, the more familiar you are with grammar, spelling and vocabulary, the easier it is read different books by different authors and be able to easily understand the writing, including its stylistic choices and themes. Translating that idea to music, be more familiar with the theory of it all allows you to read more easily and more readily identify the important parts of the music. When you're learning a piece, you need to identify the important parts to make sure that you're properly accentuating them. This can be done without theory but it's much more difficult, especially if you don't have a recording to reference. One of the better ways I've heard the common use of theory described is that we learn it to forget it. The idea being that we learn the theory well enough to understand inherently and not need to think about the theory while performing. Identifying a modulation isn't inherently important for the performance but being aware that it is happening and how can be helpful for a performer in being able to emphasize the pivot chord or resolution to the new key. Being aware of what is happening can be invaluable in your interpretation. If you play Classical music, it often seems like there is no interpretation by the performer, just notes on a page that are played correctly, but it is actually very open to interpretation in some ways. This interpretation and emotive expression is basically what separates the incredibly gifted players with perfect chops and mind blowing speed from those that become stars. There are cellists that are better in technical proficiency than Yo-Yo Ma but he is so expressive in his playing that these small technical discrepancies are not important. In fact, the technical discrepancies are often a part of the emotive nature of interpretation. In short, theory can help you play better without thinking about it at all in performance. I doubt that you will find negative consequences of learning theory but if you do, it probably has more to do with your teacher (or lack thereof) than the theory itself. I find that knowing theory can be a double edged sword. Reading well written stuff, it all makes far more sense, and therefore easier to play and remember, seeing the story of the harmonies unfold. Conversly, if a piece is not so well written, it's darned hard work. Like missed rests, or a chord written one way, but the dots show another (in E, Abm written instead of G#m, for a simple example). Knowing the theory allows corrections to be made, but that's not the point. But knowing also helps the player to communicate to others - instead of pointing to a fret/string and saying 'it's that note', being able to explain technicalities, things like that. I'm going to differ from the other posters and state that an understanding of the functional harmony of the notes you are playing is critical to a proper performance. For most musicians. Not for you, because you're a keyboard player. The notes written on a score are just approximations. In reality, unless you are playing a fretted or pre-tuned instrument like a piano, the pitch of a note has a bit of play. Singers, for example, will sharpen leading tones, brass players will even out perfect fifths, etc. This is because equal temperament is just a compromise-- everything is always a little bit off. Even on a piano, the harmonics of your strings are actually a bit sharp, so when your piano tuner comes in he will always tune from the center outwards, and a good one will tune the strings by ear and not using an electronic tuner. If you don't know how the chord functions, you don't know how to fudge the notes. Not so important for a keyboardist. Pretty darned important for a violinist. Not the answer you're looking for? Browse other questions tagged theory practice sheet-music performance-practice or ask your own question. How do I go about playing Jazz Standards? How do we construct sweep picking “shapes” and how can I modify them?